The secret to living mindfully. Just don't breathe a word of it…International bestselling author and award-winning writer Danny Penman provides a concise guide to letting go and finding peace in a messy world, simply by taking the time to breathe. 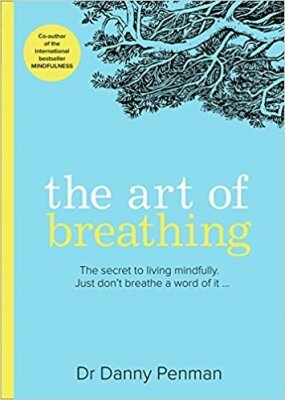 One person breathes in and out 25,000 times a day but how many are you really aware of?The Art of Breathing provides a unique focus on breathing to dissolve anxiety, stress and unhappiness while enhancing clarity of thought and unleashing creativity. These gentle exercises are simple, practical and enjoyable and reveal how finding little moments of mindfulness amongst our cluttered lives really IS as easy as breathing.Known side effects:This is a messy book that will make you question everything. You will start to smile more.You will worry less.Life won't bother you so much.Because of this, people may start to question your sanity.Oh, and you will become infinitely more creative – and possibly a little bit…reckless.The only materials you need are a chair, your body, some air, and your mind. That's It.